Mike has been involved in the potato industry as a grower for nearly 20 years. During this time he has grown both domestic fresh market and processing potatoes as part of a 140ha mixed arable and pasture farm in Opiki, near Palmerston North. 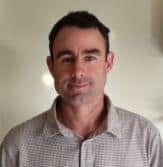 Mike has an Agribusiness degree from Massey University, and leadership experience in community groups through sports clubs, Young Farmers Club and school board of trustees. © 2019 and Design: Potatoes New Zealand. All rights reserved.